This message was preached by Augustine Kudalkar at Word of Grace Church on May 27th, 2018. To listen/download the audio please click here. To listen to the Sunday's worship and prophetic contributions please click here. Jesus mostly spoke in parables and not everyone understood them. The disciples would often take Jesus aside and ask what it meant. Parables are stories that convey truth through analogy or contrast. It dealt with the attitude of the Pharisees- it dealt with the issues of the heart. Q. Have you ever lost anything valuable in your life? The Pharisees distanced themselves. They were Jews working for the Roman government. The sinners were gentiles, who were drunkards, adulterers, etc. 3 Then Jesus told them this parable: 4 “Suppose one of you has a hundred sheep and loses one of them. Doesn’t he leave the ninety-nine in the open country and go after the lost sheep until he finds it? And when he finds it, he joyfully puts it on his shoulders and goes home. The Shepherd faithfully went after the lost sheep. He could’ve assumed the worst and not bothered to go after the sheep. But he goes after the sheep and he rejoices over the sheep. Then he calls his friends and neighbors together and says, ‘Rejoice with me; I have found my lost sheep.’ I tell you that in the same way there will be more rejoicing in heaven over one sinner who repents than over ninety-nine righteous persons who do not need to repent. The woman lights a lamp and sweeps the house and she seeks diligently until she finds it. The opposite of being diligent is being lazy. The coin did not find her, she found the coin. Luke 19:10 –“For the Son of Man came to seek and to save the lost.”Jesus also modelled the mission for us. Zaccheus was eager to see Jesus and Jesus decided to have dinner with him and Zaccheus’ heart changed. Jesus came to seek and save the lost. Anyone can reach out to the lost. 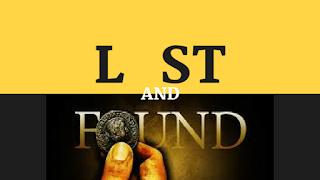 The shepherd boy, the woman, the Father... Everyone sought out the thing they had lost and they found it. So today you could be working, a student, a man or a woman, you have an invitation to take on the ministry of reconciliation.Everyone is valuable and significant in the sight of God. He doesn’t have favouritism. Just as we have ministries of external affairs, corporate affairs, defense, etc. God has given us this ministry of reconciliation. So we are the ambassadors of Christ. Q. How we participate in this mission? 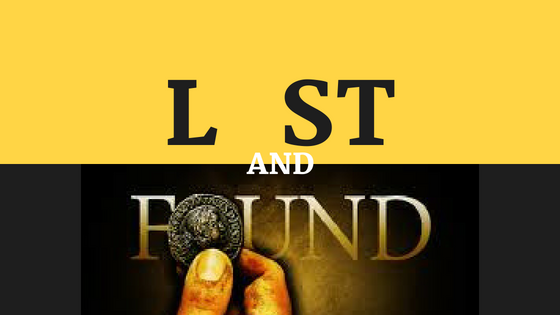 When you seek out the lost, God makes our efforts fruitful by drawing them to Himself. So let’s go out and seek the lost and share the Good News of Salvation.